Adaptalift Hyster has industry leading standards in Forklift Service and Forklift Repairs, with highly accredited forklift technicians working to keep your forklifts running. With more than 30 years experience in the forklift industry on all makes and models; you can be confident that Adaptalift Hyster is an expert on your forklift. 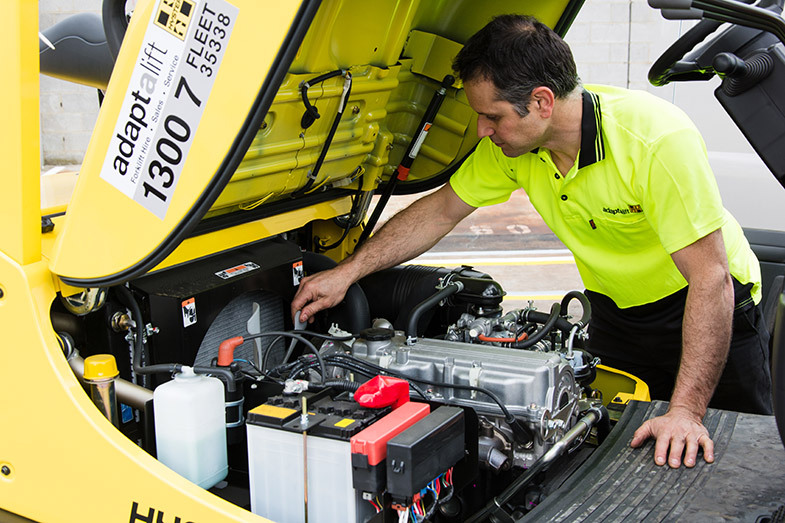 Adaptalift Hyster has over 200 fully equipped service vans, with over 19 service centres and 10 state branches Australia wide, in all metropolitan & major regional areas. Adaptalift Hyster guarantee industry leading response and efficient service. We at Adaptalift Hyster understand the concept of ‘partnership’. Our exceptional customer retention rate and long standing customer relationships are testimony to the fact Adaptalift Hyster does it better. Callout available 24 hours a day, 7 days a week, 365 days a year. Fully Accredited and experienced Forklift technicians. More than 30 years experience working with all makes and models. Total Fleet management; Let us do what we do best! Allowing you to do what you do best!